There is a new girl in town and she will be quite the important one! Meet Gaia, the Flamekeeper Scout! 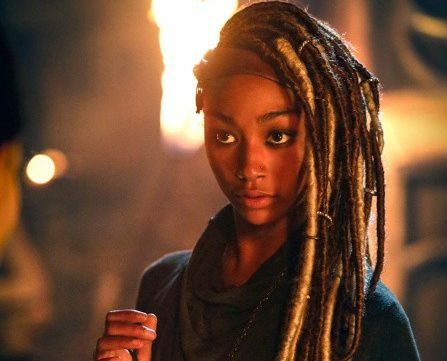 Gaia is a new character played by Tati Gabrielle. Not only is she the Flamekeeper Scout, but also the daughter of Indra. We have seen her briefly in “Echoes” as she yells at King Roan that he is not a priest. We will see more of Gaia and what her true purpose is in the upcoming episode, “The Four Horsemen.” She will be torn between her beliefs and her clan. Which perks the question, “I wonder what type of a relationship Gaia will have with Indra?” We will have to wait and see! The 100 airs Wednesday nights on the CW.